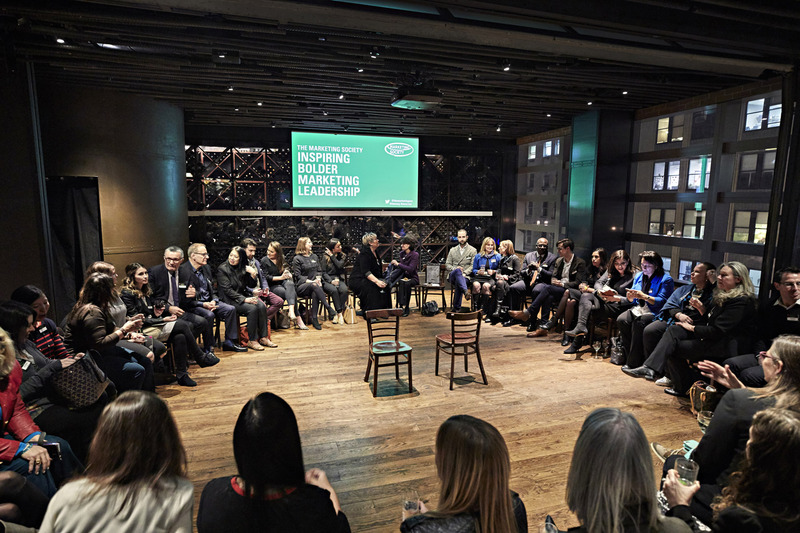 Continuing its Brave Series, the Marketing Society hosted a theatre-in-the-round style of audience participation on the subject of gender bias in New York on Tuesday, February 6. The daily revelations hitting the newsroom and rocking boardrooms may make us remember a time when we were vulnerable, taken advantage of, or even accosted. These are uncomfortable and sometimes terrifying memories of shoulda/woulda/coulda scenarios. The spirit of the event encouraged transparency, uncomfortable truths and failure, in all its glory. The speakers will remain anonymous so that their message and bravery can speak for itself. Of the 48 attendees, 16 braved the circle, including two men who were woefully underrepresented. Three speakers talked about the power of an ally — whether you were the ally to someone with less power or status or that you experienced the benevolence of an ally at a crucial moment. Another type of ally may be The Interruptor: The observer who witnesses the bad behavior, calls it out, redirects the perpetrator and saves the victim from further damage. As a woman, you may feel pressure by senior management to hire other women. But if she’s not a good cultural fit, stand your ground and insist on other candidates. Senior leadership may be upset, but trust your own judgment and values. When you bump up against corporate values that don’t align with your personal values, do you look the other way? Or do you choose to leave the firm? Or fire the client? It can be a moment that calls you to lead the change that’s required, not just react to bad press. And it’s okay to not know what to do when it happens. Almost every speaker touched on the importance of transparency — internally and externally. Start discussion groups. Make sure those job descriptions reward belonging. Write about the changes you’re making — on either a personal level or corporate level. And keep having uncomfortable conversations. 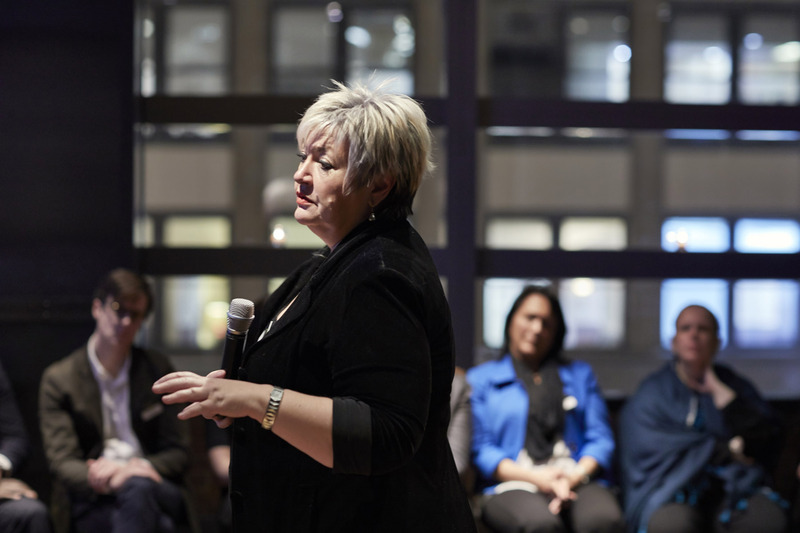 Margaret Molloy wrapped the evening by sharing her hopes and fears as an immigrant. She believes our diversity is what makes America great — and perpetuates the American Dream of you can be and do anything here. But it requires diligence and attention. It requires a review of our personal power and influence. And it requires allies and transparency. Share with us your stories of gender bias. Tell us if allies, values or transparency played a role in what you did or didn’t do. Help us continue the uncomfortable conversations by commenting here or on our LinkedIn group. By Adrienne Matt, founder of Intrepid Content, a content strategy consulting firm.